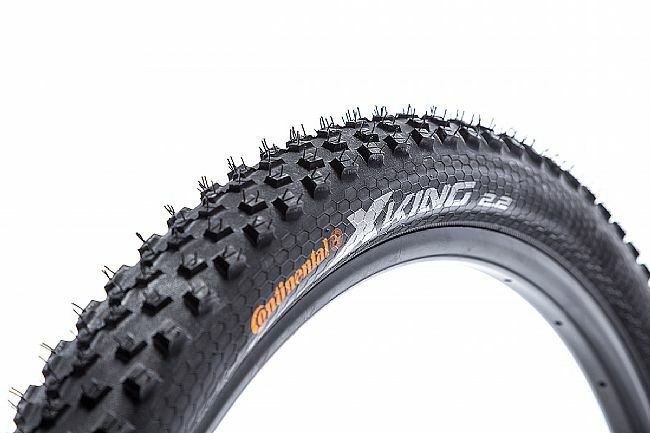 Continental's X-King 27.5 MTB Tire is sure-riding on hilly terrain and a reliable companion to touring mountain bikes. 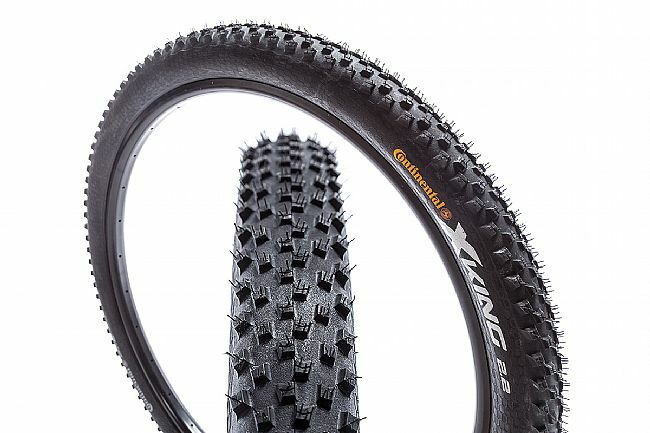 Its continuous central tread and grippy outer lugs offer substantial grip. 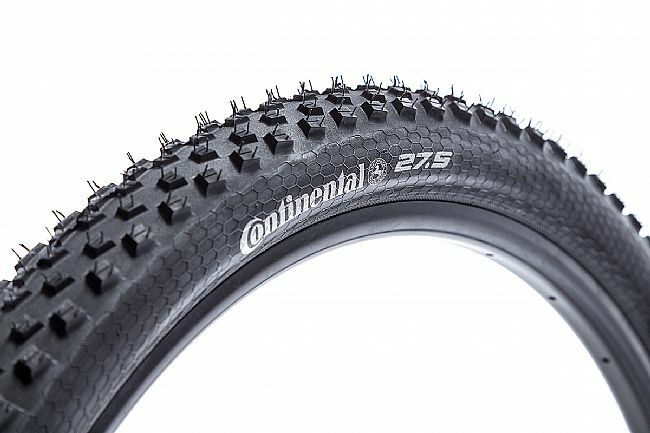 ProTection technology -- with four plies under the tread and three in the sidewalls -- delivers impressive puncture resistance. BlackChili Compound offers the right balance of grip and low rolling resistance. ProTection grip and puncture technology.